Godzilla: King of the Monsters is ready to bring Japan’s favorite kaiju back to theaters. After a few years away, the towering beast is set to hit up fans this May, and the film is excited to hype up fans. After all, three new Godzilla: King Of Monsters TV spots for the sequel went live this last week, and they each share something special about Godzilla’s growing MonsterVerse. As you can see above, one of the first TV spots released is all about Ghidorah. The clip begins with chaos overtaking the Earth as Titans sprout from the ground. However, none of them are as scary as Ghidorah, but his name is hard for some to remember. The clip proves Ghidorah isn’t as catchy of a name as Godzilla, but that does not mean the three-headed monster should be overlooked. It turns out the beast is one who has a good shot at taking out Godzilla to reign over the planet, but this new TV Spot shows Godzilla has no plans to relinquish his crown early. A second TV Spot shared is titled ‘Monster’, but it is less about the kaiju and more about the people overseeing them. In one scene, fans are shown a clip of Vera Farmiga’s character. She asks the people at Monarch to forgive her for what she’s about to do to the Titans, and her daughter is none too happy. Played by Millie Bobby Brown, the girl calls her mother a monster and reminds the scientist of her dreams to restore balance to the world when it comes to Titans. Finally, the third TV Spot released touches upon Godzilla and his history with humanity. The creature might have caused serious damage with his 2014 feature, but Godzilla is the only thing standing between mankind and the new Titans surfacing from the Earth. As the scientists learn there are dozens more of these ancient monsters, they believe their best shot at surviving is to have Godzilla on their side, but the question remains how they can persuade the beast to back them up. 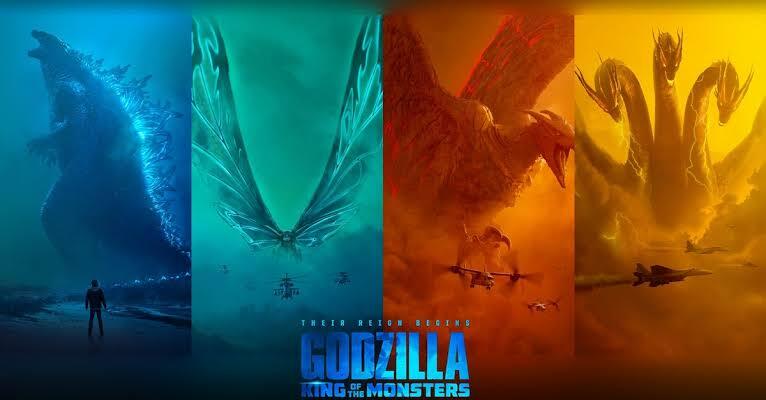 Directed by Michael Dougherty, Godzilla: King of the Monsters is making a bigger attempt to pay tribute to Toho’s original franchise history.The film stars Millie Bobby Brown, Vera Farmiga, Sally Hawkins, Kyle Chandler, O’Shea Jackson Jr., Ken Watanabe, Bradley Whitford, among many other talents.